Years ago, I received this Perfect Steak Marinade recipe when I owned a Broil King Imperial BBQ (also known as "The Steak Machine"). I'm usually the first person to say good quality beef doesn't need a marinade, but there are times you may want to add a unique flavor signature to the meat to complement the rest of your meal. You should know, marinades don't do much tenderizing with red meats - they barely penetrate more then 1/8" into the meat. 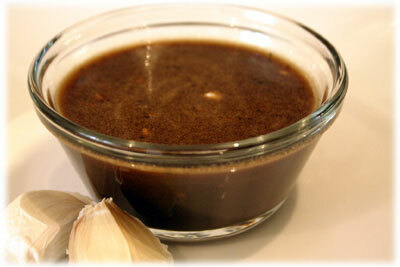 What the marinade does is add some different flavor as it soaks into the nooks and cranny's of the meat. So, if we're to use one to flavor our steak, why not use the best steak marinade I know of? If you're looking for easy steak marinades than this is just the ticket. This could become one of your favorites that you can fall back on when you need a steak marinade quickly. Thanks to Broil King for creating and publishing such a great tasting marinade recipe. Before you try it why not check out this Guide to Grilling the Perfect Steak first? Combine all the ingredients in a glass bowl or sealable jar and mix well. Marinate the steaks for 1 hour at room temperature or up to 24 hours in the refrigerator. If refrigerating, bring the steaks back to room temperature (covered) for at least 1 hour before grilling.